You may have noticed that today, Sunday 8th March 2015, is International Womens Day. This sounded like an ideal time to write about some exceptional scientists whom I greatly admire; who just also so happen to be women. The discovery of Deoxyribonucleic Acid (DNA) is the most important discovery in modern biology, and inarguably one of the most important discoveries of modern science. I was taught in school, as I’m sure most people were, that the discovery of DNA was made by two biologists, James Watson and Francis Crick. What few people know is that these guys pulled off one of the greatest scientific injustices of the 20th century. Rosalind Franklin was a physical chemist with a specialisation in x-ray crystallography. In her career she made large contributions toward understanding the microscopic structure of coal and viruses, but undoubtably her most astounding contribution was the discovery of the structure of DNA and RNA; the molecule that passes genetic material from parent to offspring. While Franklin was working at King’s College, London, she did some astounding work in x-ray crystallography, producing one of the most remarkable x-ray photographs ever taken, the infamous Photo 51. This photo illustrates the crucial fact that DNA is made up of two strands in a double helix structure, a fact of which Watson and Crick were unaware. Despite Franklin being easily as qualified as him, one of her fellow researchers, Maurice Wilkins, regarded her as no more than a lab technician and as such showed her work to Watson and Crick with neither her knowledge or permission. This one crucial picture single-handedly allowed the three to ascertain the true structure of DNA. They later went on to get a Nobel prize for medicine for this work in 1962, however all Rosalind Franklin received for this research was a footnote in their paper. Although it could be argued that all that was happening was sharing the scientific knowledge, her work was instrumental in the discovery and she received next-to-no credit for it. 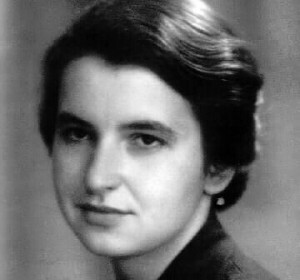 This is just a brief description of Rosalind Franklin’s life and work, but my better half wrote an amazing article for Experimentation magazine which goes in to a lot more detail on Rosalind and her astounding work. It’s definitely worth a read. You can find it here. Jocelyn Bell Burnell was instrumental in one of the most important discoveries of modern astronomy; pulsars. A pulsar, short for pulsating radio star, is a highly magnetised, rotating neutron star which emits a beam of radio waves. These stars have very regular rotations, which range from seconds down to milliseconds. Much the same way as you can only see the beam of a light house when it’s directly facing you, you can only observe the radio beam when it’s facing towards you which, when combined with their rotation characteristics, makes the star appear to pulse. During her post graduate work at the University of Cambridge she detected very regular pulses following the stars as they moved across the sky. These were first thought to be possible sources of radio emissions from alien civilisations, owing to the astounding regularity of the pulses, however it was later shown that they were rotating neutron stars. Jocelyn received a PhD for this research and published a paper with her findings as the second author of five; with her PhD supervisor, Dr. Antony Hewish, being the first. This was one of the greatest findings in astronomy of the 20th century and as such a Nobel prize was awarded, however the prize was awarded to Hewish and Martyn Ryle. Jocelyn was not included as a co-recipient; a fact about which many prominent astronomers expressed outrage. Although she went on to have a very successful scientific career, even becoming president of the Royal Astronomical Society between 2002 and 2004, she still missed out on a very prestigious award which she should have been rightfully awarded. This clip from an episode of BBC Horizon in 1972 shows Bell Burnell talking about her award-winning research. Margaret Hamilton stood next to printouts of the code for the Apollo guidance system, a lot of which she wrote and oversaw. Undoubtedly one of the single most important events in modern scientific history was the moon landing in 1969. This truly engaged the general public with the seemingly grandiose idea that we could indeed venture to the stars. What’s not so well known about the Moon landing is that it nearly didn’t happen. A few minutes before the lunar lander reached the surface of the Moon the guidance computer was overloaded with incoming data due to the rendezvous radar system, (a system not necessary for landing), updating a register which stole cycles from the computer. Had this been a traditional computer the mission would have had to have been aborted, or worse, however thanks to Margaret Hamilton’s extraordinarily robust code and innovations in computer science the guidance computer was able to keep running. Margaret was director of the flight software engineering division at the MIT instrumentation laboratory throughout the Apollo mission and oversaw the development of the code for the lunar lander’s guidance system. Thanks to her ability as a software engineer, a term which she herself is credited as coining, the software for the guidance computer was designed with the ability to prioritise tasks so that higher priority jobs could interrupt or even completely cancel lower priority jobs. This was the case during the landing. The computer was able to prioritise the task which it knew were important for landing to be successful, and cancel the tasks that were needed for the erroneously invoked rendezvous operation. These, among other, innovations in asynchronous software design and ultra reliable computing are still used to this day in all manner of applications. 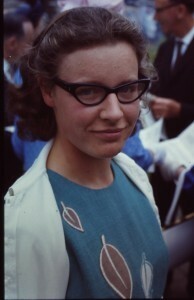 As well as going on to found her own software computer she has been given several prestigious awards, including the Augusta Ada Lovelace Award, and published over 130 pieces of scientific literature. These people that I’ve discussed in this post aren’t important because they are women. They are important because they are exceptional scientists in their respective fields. In some cases they were excluded from honours they should have rightfully received; potentially due to their gender. We need to look back at history and cases like these to make sure that we, as a civilisation, don’t make these mistakes again in the future. If you have been, thank you for reading. XRT-C Dish Mounting Video is Finally Here! Sorry, there are currently no comments for this artcle. Why not start a conversation? Postgraduate astrophysicist in the Astrophysics group at the University of Exeter. Aspiring science educator. Part time crafter of fine code. Musician and music lover. Ex astris, scientia.